Kasunanan Palace is one of the exotic buildings in its time. 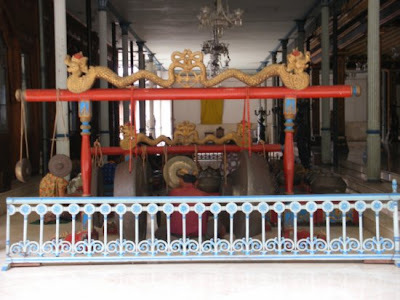 One of the architects of this palace is Prince Mangkubumi (later titled Sultan Hamengkubuwono I) which is also the main architect of Kasultanan Palace (Yogyakarta). Therefore, it is not surprising that the basic pattern both palaces (the Yogyakarta and Surakarta) have a general equation. Kasunanan palace, as it is today, was not built simultaneously in 1744-45, but was built in stages by maintaining basic spatial patterns that remain the same as initially. Development and large-scale restoration recently performed by Susuhunan Pakubuwono X (Sunan PB X) who reigns from 1893 to 1939. 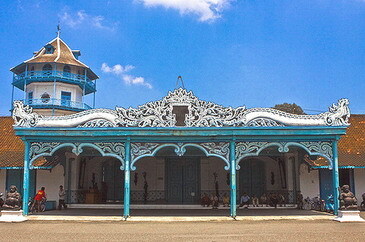 Most of the palace is painted white and blue with a mixture of Javanese- Europe architecture. 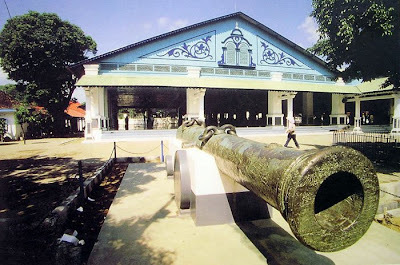 Kasunanan Palace also known as Surakarta Sultanate Palace, built in 1745 by King Pakubowono II. 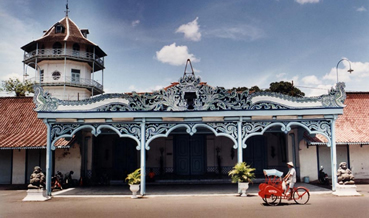 It is the principal palace of Surakarta, and was built at the same time this city was found. This palace was intended to replace the old palace in Kartasura, about 12 km west of Solo. In general, the division of the palace include: Alun-Alun Lor (North Square, Sasana Sumewa Complex, North Sitihinggil Complex, North Kamandungan Complex, Sri Manganti Complex, Kedhaton Complex, Kamagangan Complex, South Srimanganti Complex and South Kemandungan, and South Sitihinggil Complex and Alun-alun Kidul (South Square). These Palace complexes are surrounded by Baluwarti, a defensive wall of which height is about three to five meters and a thickness of about one meter without pavilion. These walls enclose an area with a rectangular shape. That area is about five hundred meters wide and about seven hundred meters long. 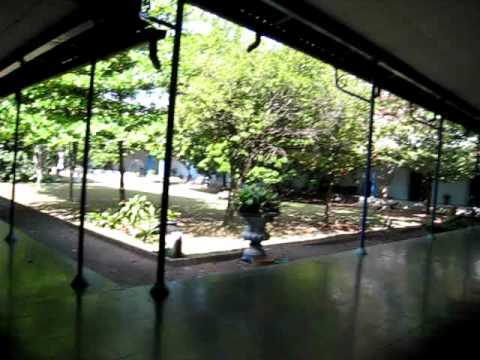 The Palace complex that is inside the wall is from Kemandungan Lor to Kemandungan Kidul. Both complexes, Sitihinggil and squares, are not surrounded by this defensive walls. 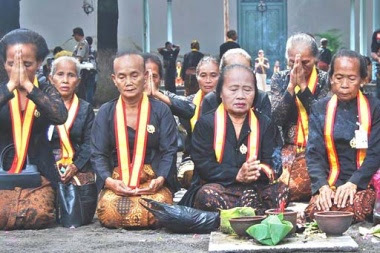 The courtyard is dominated by a tower called Panggung Sanggabuwono, a mysterious tower where become the place of meeting between the King and Kanjeng Ratu Kidul, Javanese myth of the southern sea queens. Sanggabuwana Tower is the only monument in Indonesia which is full of dignity and peace, to tradition, art and culture of classical royal Javanese architecture.